Home › Christianity › Know Fear. Fear is a powerful thing. It can keep you from going into a dark room, or keep a kid from disobeying their parents. There is fear that is helpful, and fear that is paralyzing. 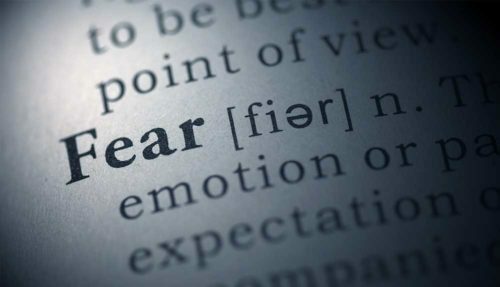 As a Christian, fear can be even more perplexing. The Bible says that God has not given us a spirit of fear, but on the other hand it instructs us to “Fear God and keep his commandments.” How then are we supposed to keep fear in balance? I’m sure you were there as a kid, sitting on your bed, refusing to let your foot slip out of the covers, for fear that boogie man under your bed would hurt you. I recall being afraid to even look into some dark places as a kid. As an adult, however, most of these fears seem silly now. I don’t need someone to watch me walk out to my car at night or go look under the bed before I go to sleep. Reflecting on how these fears gripped me, I can see that they were quite paralyzing. I’m starting to realize that my fears, as an adult, are more subtle, yet just as much of an impact. We hear the phrase “the fear of the unknown” so often that we may miss the point of the phrase. In thinking back on the boogie man fears, it’s easy to see that knowledge and understanding helps dispel crippling fear. As long as you refuse to look under the bed, you’ll always imagine those monsters under there. Face that fear a few times, and you’ll find that the boogie man is never under the bed. The more I think about it, I find that ignorance can definitely add to fear’s power. But is some fear healthy? Recently, I stood on a dock with my 3 year old son (no life jacket). I’ve told him the rules, and he knows to stay right in the center of the dock, but he wants to go over to the edge without me and look at the fish. One brush with the edge and swift punishment later, and he’s right back in the center. For now, he stays put only because he fears dad’s punishment. As a dad, I realize that this fear is literally healthy for him. He’s afraid of my reaction because he understands it but he does not understand what drowning really means. As heartbreaking as it sometimes is to put fear into your kid, in the absence of his knowledge and understanding, it’s a tool that works. Proverbs 1:7(a) says “The fear of the Lord is the beginning of knowledge…”. That fear that we’re supposed to have is not unlike the fear I want my son to have at the dock– trust me and obey. In time, we will understand that the Lord’s ways are for our good– and that fear we’re supposed to have of God is a substitute for knowledge we do not posses. Since God is always after what’s best for us, and he knows all, we should trust and obey him at all times– for our own good. We should fear walking outside of God’s instruction, because we’re walking into something that’s not good for us. Sometimes though, God want’s us to face our fears, and gain knowledge of him and ourselves. Hosea 4:6 says “My people are destroyed for lack of knowledge…”. Remember that boogie man, and the poor kid afraid to look under the bed? The kid lying awake at night too scared to move? That can be us as adults too, and these fears can be dispelled by knowledge and faith. There’s probably that one thing you know you should do, but deep down are just afraid of the result– afraid of what they’ll say.. or just inexplicably afraid. You sit there frozen in place, getting nowhere, and potentially being manipulated by fear. Facing that fear can be hard.. peering into those dark places sometimes comes with an expectation of monsters– but often times, they’re just not there, or they’re much smaller than we imagined. They’re certainly smaller than our God. It’s becoming obvious to me that there is healthy and unhealthy fear, and that these fears are made worse by ignorance. Fear changes as we learn more, but if we hold tight to the word of God, we’ll be OK whether we understand or not. This is a subject I continue to study, and honestly continue to struggle with. I’ll post more as I learn more, but I hope what I’ve learned so far is helpful to someone.